A reform that prioritizes each student’s learning by funding education in a way that is fair, transparent and promotes local empowerment and choice. The way states fund student education can support forward-looking solutions or unnecessarily hinder progress with archaic and obsolete constraints. 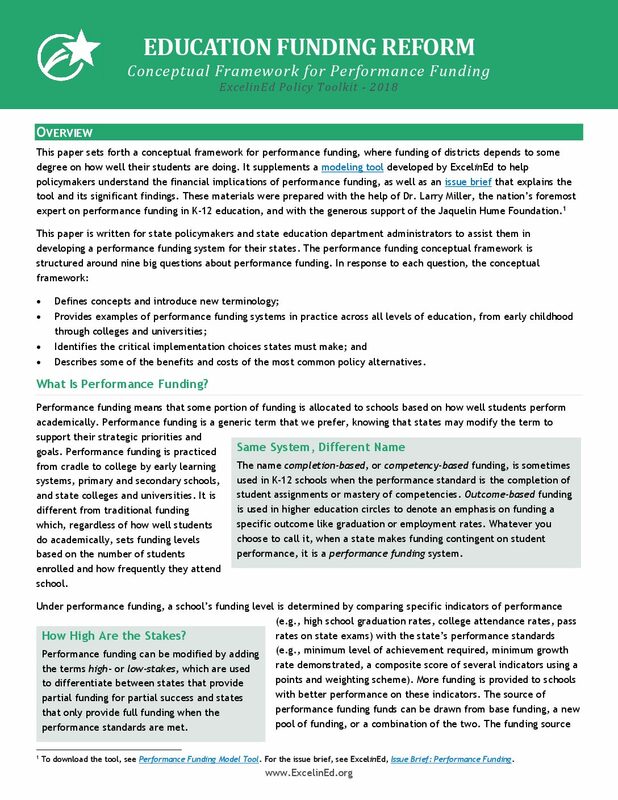 In many states, outdated funding formulas force districts to focus on inputs rather than the unique needs of each child. On the other hand, student-centered funding formulas—where spending follows the child—promote fairness, transparency, flexibility and innovation. ExcelinEd supports student-centered funding that prioritizes each child’s learning, where all students receive base funding—with additional amounts depending on student characteristics—and public dollars follow the child. Schools will have significant flexibility in how they use the funding they receive, but they will be held accountable for student learning and have an ability to learn from similar schools that are performing better with the same or less funding. 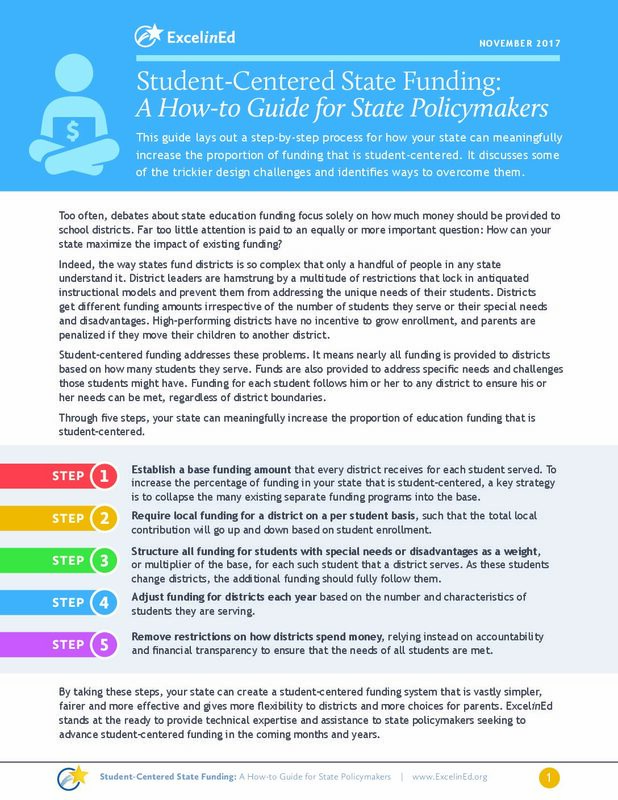 Student-Centered State and District Funding – When a student moves from one school to another, only a portion of funding follows him or her. This unfairness occurs because states fund specific staffing positions, services, programs, schools and school districts, rather than students. ExcelinEd works with state policymakers to increase the portion of funding in a state that follows students from district to district and from school to school within districts. 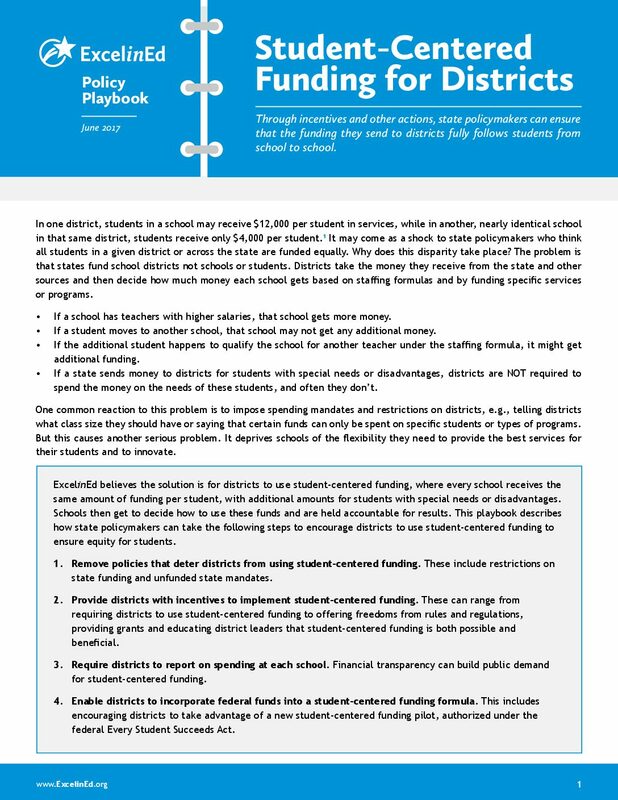 School Level Financial Transparency – School leaders and parents lack basic information on how much funding comes into a school and how spending on key activities compares to similar schools that are getting better results. 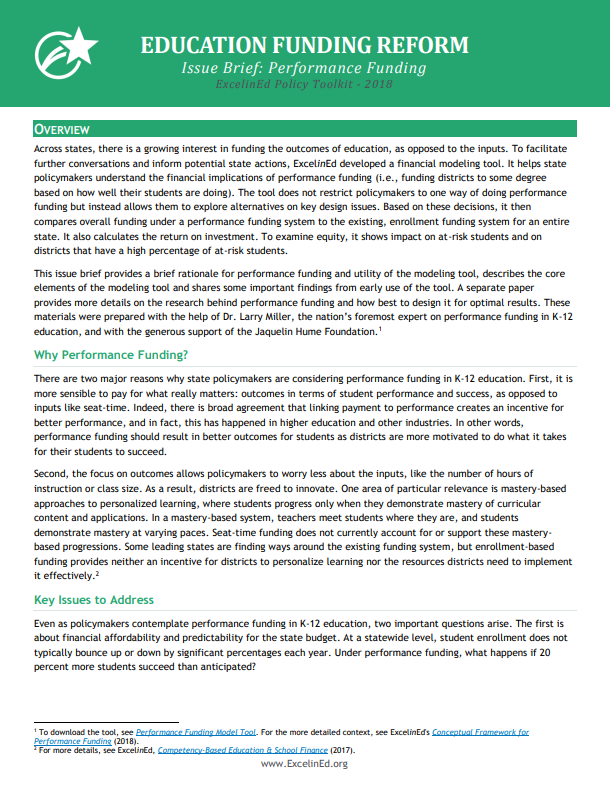 ExcelinEd works with state policymakers to empower school leaders and parents through better information on how much funding a school is getting and how it is being spent. 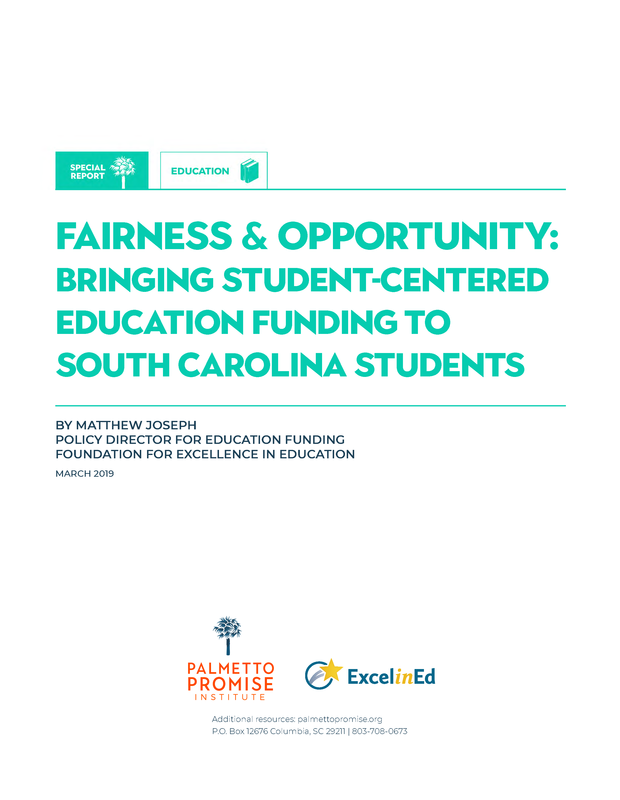 Fair Funding for Choice – ExcelinEd works to transform state education funding systems so that they fairly fund all students across all choice options. This includes our promotion of student-centered funding. 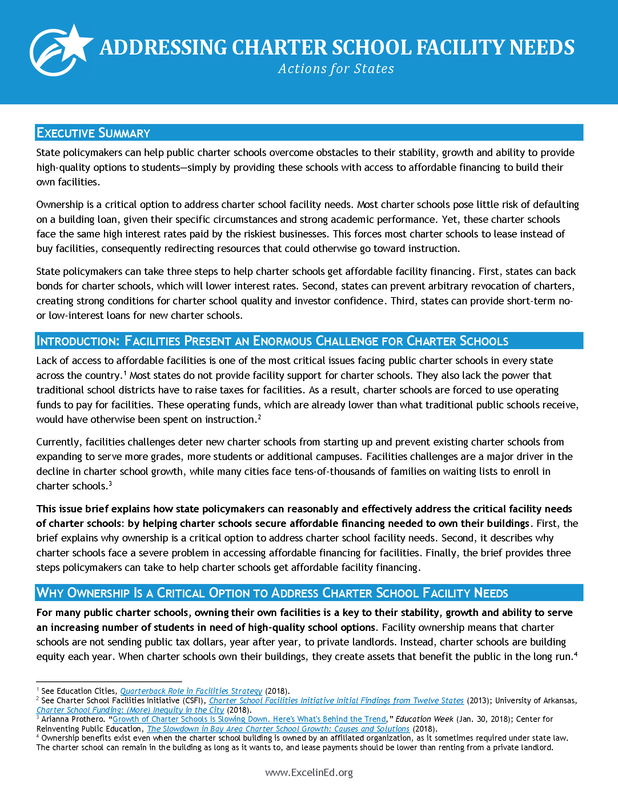 ExcelinEd also works with state policymakers to implement best practices in providing charter schools with equal access to all funding sources and address facility needs. 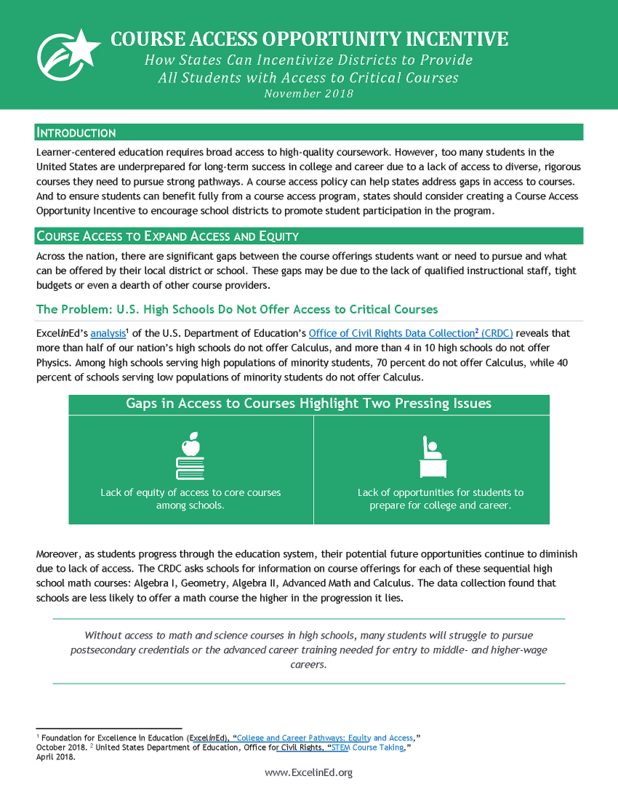 Mastery-Based Funding – States fund schools for delivering hours of instruction and thereby reinforce the traditional, time-based education model where students advance based on their age, regardless of what they have learned. States can work within their existing funding formulas to remove some financial penalties for personalized learning. However, to scale personalized learning, schools need some incentives, which means tying some portion of their funding to student mastery. 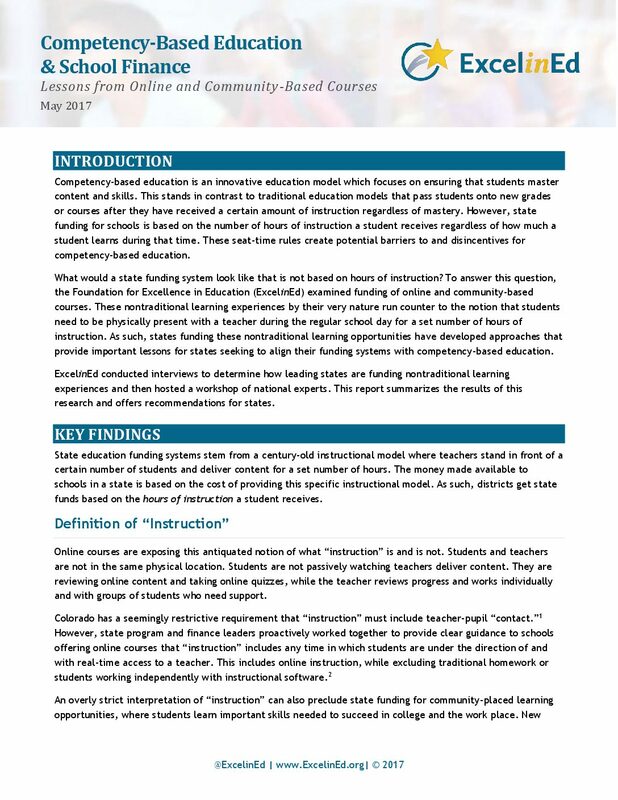 ExcelinEd helps state policymakers explore how to incentivize personalized learning in a way that is financially feasible and fair to all students.